New solar panels, Arduinos, and the official release of the Qduino Mini! Woo-Hoo! Welcome to 2016, folks! We are back in the saddle and ready to provide you with a slew of new products. That's right, we are out of the gates strong for the new year! Let's dive on in and see the quick demos we have for two of this week's new products! Pretty awesome – now let's learn a little more. Have a project that needs some good power? Do you like free power provided by our friend, Mr. Sun? 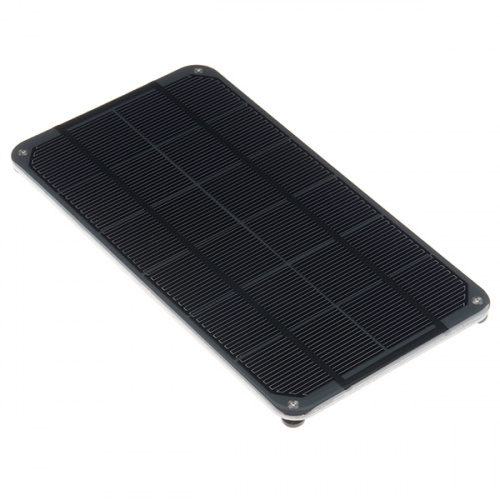 Check out these high-quality, high-output, fully enclosed solar panels with nice solid aluminum/plastic case. We are offering four different panel options capable of 2 watts, 3.5 watts, 6 watts, or 9 watts, with a peak power output around 6V at variable Amps. The termination on each panel is also equipped with a 3.5mm x 1.1mm barrel plug and 5.5mm x 2.1mm adapter on a 22cm (8in) cable, which enables the panel to mate directly with many of our development boards. 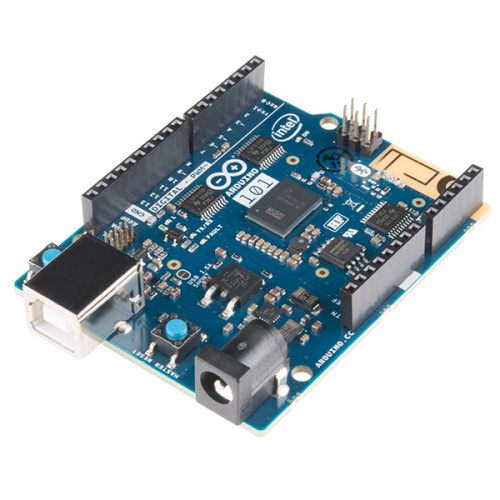 The Arduino 101 is a learning and development board that delivers the performance and low-power consumption of the Intel® Curie™ module with the simplicity of Arduino at an entry-level price. 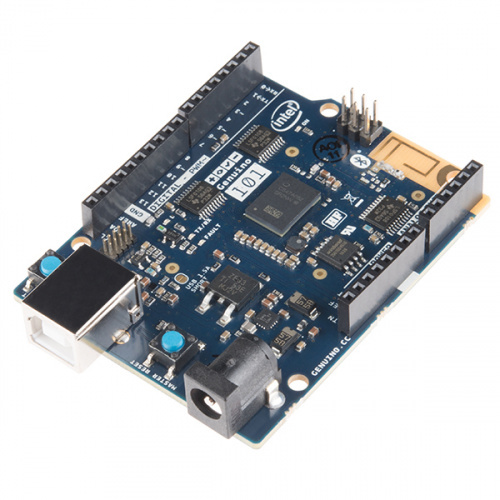 This development platform keeps the same robust form factor and peripheral list of the UNO, with the addition of on-board Bluetooth LE capabilities and a 6-axis accelerometer/gyro to help you easily expand your creativity into the connected world. The Arduino 101 is only available for customers in the USA. If you are located in Canada, the EU, or the Middle East be sure to check out our next product. The Genuino 101 is virtually identical to the Arduino 101 in pretty much every way save the name and silk on the board. The major difference between the two boards are where they can be shipped to. The Genuino can ONLY be sent to customers located in Canada, the European Union, or the Middle East. Please, be sure to keep this in mind before ordering! 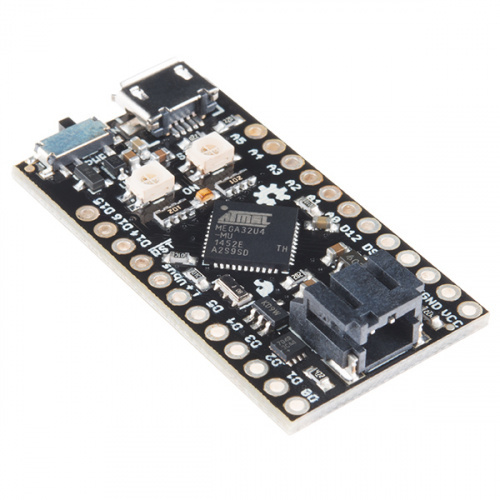 The Qduino Mini is finally available for official purchase! If you pre-ordered this board you may have recently received an email with information on your shipment. The Qduino Mini is a tiny, Arduino-compatible board with a battery connector and charger built-in, as well as a fuel gauge that can tell you when to charge the battery! This little guy is super small, inexpensive, and is perfect to embed in your electronics projects. The Qduino Mini is the same model awarded to its Kickstarter backers and is Arduino-compatible and 100% open source, meaning that making and programming your first circuit is a breeze. That's it for this week, people: seven brand new products and a cool demo for you to tinker with! Thanks for checking back in with us after the long holiday, and we'll see you back here next Friday with even more new products. See you then! Oh, man. SO want. What would we call it? I don't think a heavy metal dev board would work too well. LOL (jk). RIP Lemmy. So what's the real difference between the two 101 boards? I'm guessing it has something to do with Bluetooth firmware and/or FCC compliance. I think the difference is just the name. When Arduino split up, Arduino.org owned the name "Arduino" outside of the US. So, when Arduino.cc sells boards outside of the US, they go by Genuino for legal reason. Qduino seems like a fio. If the Fio was about the size of a Pro Mini, didn't have an XBee slot, used the ATMega32U4 (which the Fio V3 does, but the regular Fio does not), had a fuel gauge monitor, and a couple of RGB LEDs... Honestly all Arduinos tend to look similar and each have their own advantages and disadvantages. Of our current Arduino offerings though this probably is closest to the Fio V3.